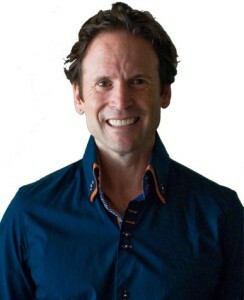 Craig started as a computer science major and ended up one of the top sales people in Canada, with a best-selling sales book to his name. How did this happen? And what can you learn from this for your business (and your life)? What’s considered a mild winter in Calgary. Craig’s primary sales philosophy: How do I become the first person people call when they have a problem? Where to look for great sales reps.
Why he had a lot of price objections when he started, and what he did about it. What he did after he joined WorldCom just as 9/11 was happening, and then, after he became their top sales rep, what happened when everyone realized the execs had committed accounting fraud. It was the first time no one would buy from him. Why you need to use verbs instead of nouns (with some great examples from trucking companies to marriages), and what you want to hear as a response. Why you want to ask “how?” and “what?” rather than “why?” questions (speaking of advice that can also apply to marriages). Why Craig ended up living on Yerba Buena Island in the middle of San Francisco Bay (I always wondered who actually lived there whenever I drove over the Bay Bridge). And much, much more. Even though I had read Craig’s book, I learned a ton, and I think you will, too. 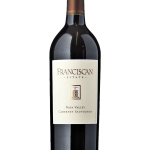 After my forced experiment with rosé in the last episode, I’m back to reds with Parducci True Grit Reserve Petite Syrah 2014 from California, while Craig enjoyed some Tom Gore 2016 Cab, his favorite California Cabernet Sauvignon. 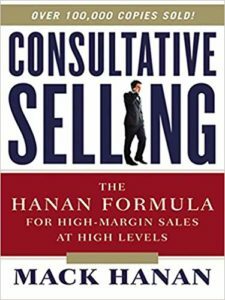 Consultative Selling, by Mack Hanan. 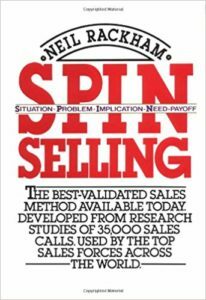 Spin Selling, by Neil Rackham. 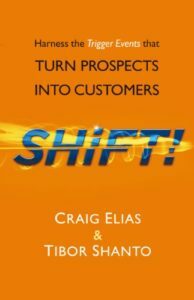 Craig says that chapter 4 in particular is the best 30 pages written about sales. Here are the show notes, including iTunes link, etc, on PredictableRevenue.com. And here are the resources mentioned in the episode (including a discount on the Sales for Nerds Proposal Online Course). Why he’s fascinated with languages and cultures. Michael learned how to sell, sometimes the hard way. Why people try to rush sales before relationships, and what to do instead (and a time Michael made a bad mistake in this area). No one wants to buy what we’ve created. They want to buy a solution to their problem. The only way to solve the problem is to understand it by asking questions. When you understand the problem, you can charge a lot more. What’s holding people back? Usually fear. Fear of making a mistake, the unknown, and being rejected. The Catch-22 is that confidence and competence come from taking action, while people don’t take action because they’re afraid. Taking action gives you the only feedback that really matters– from the market. When we do “take action”, a lot of the things that make you feel productive, because you’re spending time on them, are not actually moving your business forward. Drop those things, and spend more time on the smaller fraction of things that actually create lots of value. We often do things that are easy or comfortable, rather than the things that are hard and actually productive. For example, spend time to meet with people, or, at a minimum pick up the phone and have a two way conversation. Don’t fall into the trap of sending the quick email. Think you don’t have time? Follow the 80/20 rule. Document your process and pinpoint where you are really required. Offload repeated tasks (and your ego). What you can’t outsource— marketing! You have to define your audience and your message. Bonus tip: If you really want to build a thriving practice, stay in touch and make introductions when you *don’t* have the solution they need right now. This is a great way to build trust. 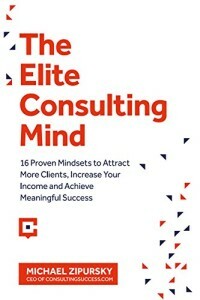 The Elite Consulting Mind: 16 Proven Mindsets to Attract More Clients, Increase Your Income and Achieve Meaningful Success, by Michael Zipursky. The Consulting Blueprint from ConsultingSuccess.com. The “Mad Libs” Marketing Message generator. We were on a Sonoma Coast Pinot Noir kick for this discussion, without any coordination. 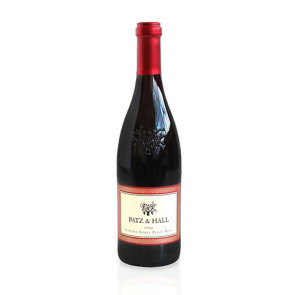 Michael was drinking some Patz & Hall 2014 Sonoma Coast Pinot Noir (which is amazing, if you like Pinot like I do). I had the also delicious but less amazing (but much more affordable) Sean Minor 2014 Sonoma Coast Pinot Noir. Where you can find Reuben: @Sales4Nerds, @Mimiran, Mimiran.com (the easy CRM for people who are awesome at serving clients but would love some help getting more). You can also listen on Overcast, or Subscribe on Android, Player.fm. 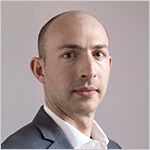 How he “fell into” consulting, then got worried because his partner had to quit 4 weeks later, and how “on a lark” he started working with other consultants. Why consulting is bought, not sold. How to structure and set fees, including using the “heart attack question” to bound the budget discussion. Plus, David and Reuben get into details on structuring proposals. 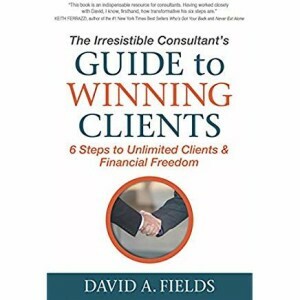 Maximize impact with the prospects you have (the right people, the right problem, the right solution, at the right time, with the right fishing line) As consultants, “we don’t hunt, we fish”. Build visibility, with 2 of the 5 channels (speaking, writing, networking, trade associations, digital presence). However, 1 of the channels must be networking. Propose, negotiate, and close (including how to offer different options and how to handle price objections). Reuben had some Marquis de Calon (Bordeaux, Saint Estephe 2010) 53% Cabernet sauvignon, 38% Merlot, 7% Cabernet Franc, 2% Petit Verdot. Plum, red current, coffee, earth. Yum. Blend all ingredients in a high-power blender (Vitamix or Blendtec) for 50 seconds on high. Pour over glass of ice cubes. *David uses raw, organic ingredients, but it’s not required. Stella Orange talks about her strange path to marketing and copywriting via Japan, school teaching, bike riding, and writing copy to raise money for an arts nonprofit in Montana. This includes the books she read to teach herself direct marketing, how she got her first clients (a great strategy for people who don’t have a sales engine when they start), and the mistakes business owners make in marketing. 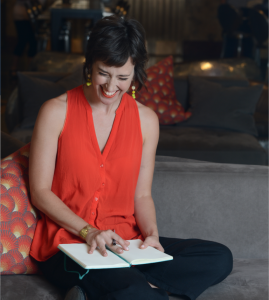 How she turned her passion for writing into a “career”, despite being “unemployable”. Why she cried when she was starting her business, and why she cried after it took off. Her stress over charging $450 for a 5 page website (she now charges much more, and has a great way of dealing with price objections). The biggest mistake people make in marketing (and of course, what you should do instead). 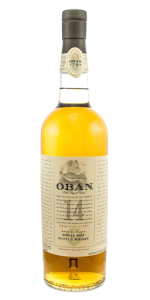 Reuben had some Oban 14 year old Highland whisky. It’s got a little bit of sweetness to it, with hints of vanilla and caramel. Nice for people who don’t want all the peat, but also want a bit more flavor than the Macallan. 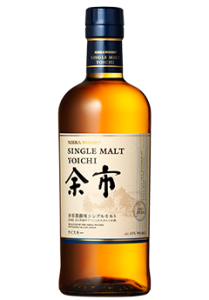 Stella wished, for just this one moment that she wasn’t on vacation, and was at home with her bottles, preferably the Yoichi Japanese whisky. Few authors have had the impact on sales that Aaron Ross has had over the past few years. 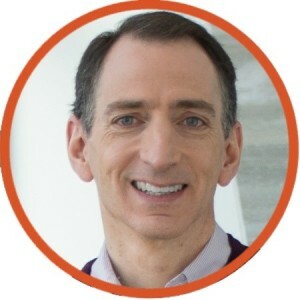 His first book, Predictable Revenue, called “the sales bible of silicon valley”, he co-authored along with Marylou Tyler, who was on Sales for Nerds in Episode 14. 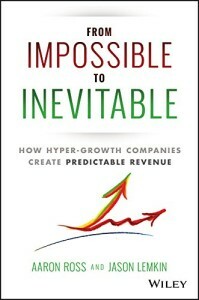 Now he’s back with From Impossible to Inevitable: How hyper growth companies create Predictable Revenue. This time, Jason Lemkin, former CEO of EchoSign, leader of SaaStr, and more, is his coauthor. Aaron does all this while he and his wife raise 12 kids (!!!) (mostly adopted, for those wondering how that’s even possible for such a young-looking guy). You might think that Aaron’s some sort of superman, or at least a cyborg, but what’s great about his books is that he admits that this is hard. There’s no “X easy steps to winning.” In fact, the books include painful episodes in Aaron’s life, and the admission that things will be hard and tiring. His whole career in sales started because he didn’t really know how to sell. He never thought about sales, and certainly never thought he’d end up the author of best-selling sales manuals. But when his first company failed because he didn’t have the sales chops he wanted to have, he joined Salesforce.com. 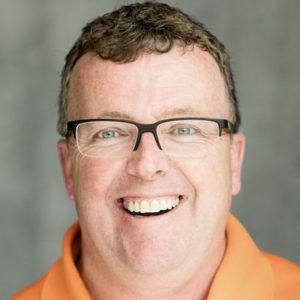 He was employee number 150, which gave him a bit of stock, but not enough to get rich, and he was “on step up from the interns.” He helped build the outbound engine that developed leads before handing them off to account managers. This helped salesforce grow rapidly and efficiently. However, it wasn’t until he left salesforce and was consulting with another company that he realized how critical it is to specialize your prospecting (early funnel) and your account management (late funnel). Specializing your roles is the #1 most important thing for creating predictable, scalable sales growth. Even if it’s just marking different times in your calendar for different activities. What else did Aaron learn? First, the importance of “Nailing your Niche”. This comes up again and again, but “you’re not ready to grow until you nail a niche.” This doesn’t mean you can only work in your niche, but you need to have one and nail it. It makes everything easier. While consumers tend to buy what they want, business tend to buy what they need. If you’re talking to people and they say, “that’s cool”, but they don’t buy, that means it’s a nice-to-have. The cake is the core thing that helps your grow your business. For Aaron, it’s writing books. For Jason, it’s being active answering questions on Quora. (If you’re in the software world, you should follow him.) Do that one thing well, and then you can use that in other ways (the “icing”). Don’t try to do everything, or you’ll never get anywhere. Aaron blocked out Wednesdays for a year to write the the book. For Aaron, social media isn’t very interesting, so he hires someone to help him with that part of marketing. As a pricing guy, I also appreciated Aaron’s view that you should spend as work trying to double your average deal size as you do finding and closing twice as many deals. As Marc Andressen says, “raise prices“. Aaron couldn’t partake, because he was in the middle of the morning California time, plus, while he really wanted a glass of wine, he knew it would put him to sleep which is not good when you have a short workday and a huge household logistical puzzle to solve each day. Here’s the link to Episode 4 with Joe Williamson. 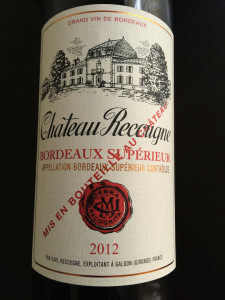 Chateau Recougne 2012 Bordeaux. Pretty rich, definitely benefits from aeration, then mellows out nicely. Yum. 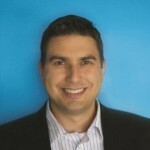 Where you can find Joe: Alloy Partners, LinkedIn. 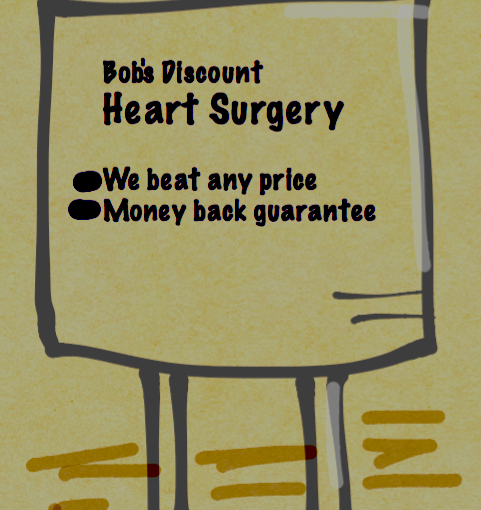 No one wants to go to Bob for heart surgery. But a lot of people run their businesses like Bob. Here’s how to avoid, when possible, and win, when necessary, price competition.